The following was excerpted from the U.S. Naval Institute conference report. Opening the U.S. Naval Institute’s 2012 annual history conference “The History and Future Challenges of Cyber Power” at Alumni Hall on the grounds of the U.S. Naval Academy with the morning keynote segment was former Vice Chairman of the Joint Chiefs of Staff retired Gen. James Cartwright. 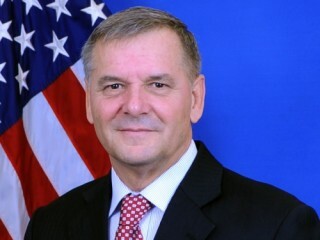 Cartwright was regarded as the Pentagon’s top thinker on cyber warfare during his stint as the vice chairman. In his remarks, Cartwright emphasized why the cyber landscape is important – it is a medium that lies between sanctions and military power. Some of the methods Cartwright had said he looked at were electromagnetic pulse, directed energy, electronic warfare and cyber – all speed-of-light means used to extend the life of the diplomatic activities. Later, Cartwright stressed that with the evolution of the Internet, much of that work had been supplanted by the web’s dominance. The problem with some of that mindset, Cartwright explained, was it didn’t satisfy the ultimate mission of the Department of Defense (DoD). Cartwright said there is an important distinction to be made between the wired world and the wireless world. The wireless world, he explained, is where the DoD’s focus is maintained, whereas the wired world is something that falls within the purview of the intelligence community. The former vice chairman offered up a simple definition of “cyber” as it pertains to the military. “From my perspective, ‘cyber’ is about taking a waveform in the electromagnetic spectrum, any waveform and coding on it a vehicle that transports where it is you want to go and putting on the back of that a payload that whatever it is you want to have done,” he said. Cartwright said what was being done with cyber warfare existed on three levels: tactical, strategic and operational. He added that people don’t necessarily see it like that, but instead from a “purely strategic” point of view. One of the final key points Cartwright made was there seemed to be a prevailing concern that once one initiates a certain method in cyber warfare, the cat will be out of the bag and it will soon become obsolete and force something new to be developed. But that is the case with any means of warfare he explained.